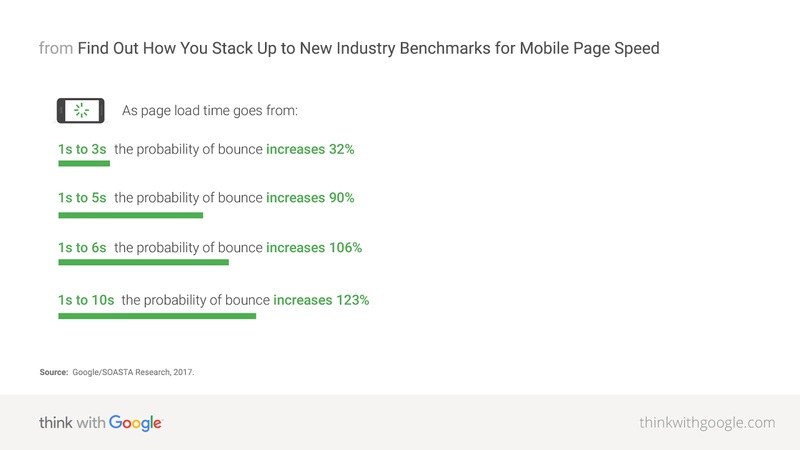 Why should you care about Mobile Page Speed? If you are wondering how to impress the Google crawlers, first think of the user experience on your site. One of the most important factors for a better user experience is your page speed. With more than half of the searches now on mobile devices, it is imperative to work on your mobile page speeds. There are several useful articles on 'think with Google' that helps us understanding the importance of Mobile Page Speed and how to create a better mobile user experience. While users expect sites to deliver fast and frictionless mobile experiences, the reality is that most of the mobile sites don't live up to the expectations. We put most of our efforts to manage key engagement metrics (bounce rate, average time spent on the site, etc), we often ignore the mobile experience. Not to forget, searches on mobile devices have toppled desktop searches. If not now, then never! It's high time we start concentrating equally on improving the mobile site experience. Even though mobile searches have toppled the desktop searches, mobile conversion rates are lower than desktop - reasons could be, users still prefer to purchase on desktop and it can also be due to the slow loading mobile pages. Speed equals revenue! 70% of the pages analysed by Google, the visual content above the fold took almost seven seconds to load. And it took around 10 seconds to load the full visual on the page - implies most of the mobile pages are full of unwanted elements that take ages to load. 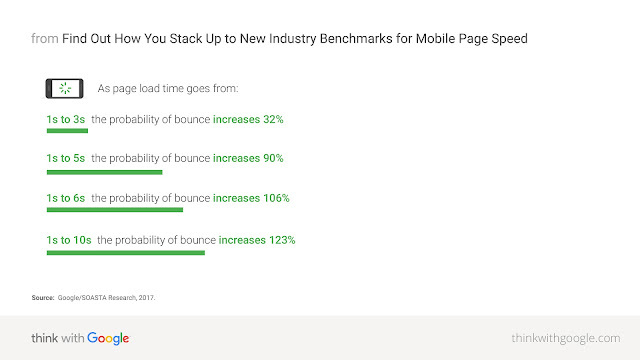 What are the new Industry Benchmarks for Mobile Page Speed? One should note that 1.49MB takes around seven seconds to load using a fast 3G connection. So it's pretty clear how important it is for you to have fast loading mobile pages! With Google's mobile-first index in the reckoning, it's a must that you start optimising your sites for a better mobile user experience. A stitch in time saves nine! A 6-Step Guide to Getting AMP Right!